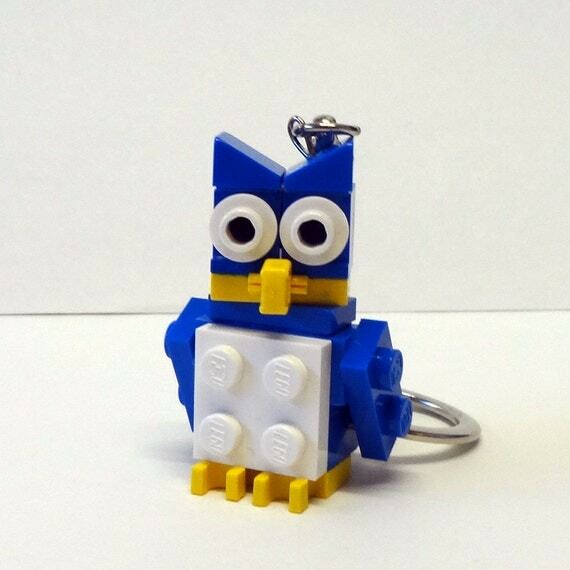 Like a vast majority of AFOLs (Adult Fans of LEGO) out there I use BrickLink all the time. 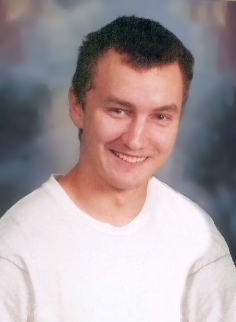 Sadly, also like many of the AFOLs out there I didn’t know who had created the groundbreaking website until yesterday when I heard about Daniel Jezek’s sudden passing. Where else could you find 300 Spartans, ultra rare promo items, and the last few bricks to finish off your project. 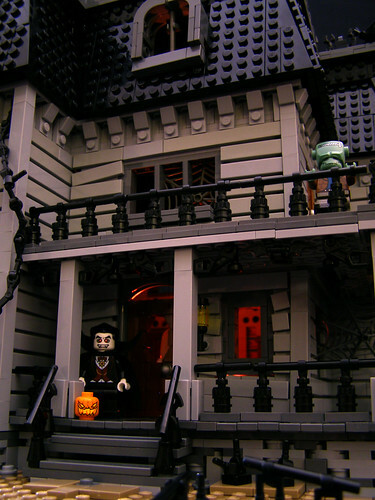 Daniel was years ahead of LEGO itself in selling bricks by the piece and he profoundly changed the hobby and the community for the better. This budding entrepreneur looked at eBay as a model. 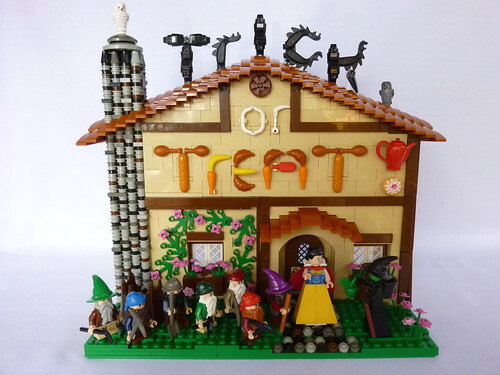 He saw that if a website like that could do well just getting people to sell stuff, Dan would do the same for people who wanted to sell and trade LEGO bricks. You can read the entire Eulogy on BrickLink. 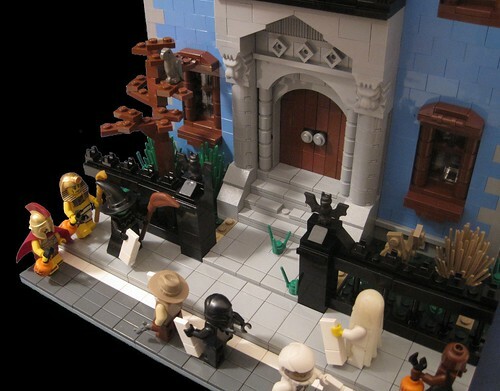 It is a sad and sudden loss for the entire LEGO fan community and my heart goes out to the Jezek family. Thank you Daniel for all you accomplished! 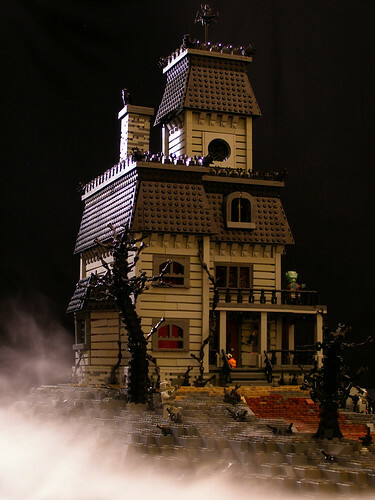 Paul Hetherington, better known as the BrickBaron online has a knack for the interesting when it comes to LEGO building. Fresh off his award winning Best in Show Mardi Gras spectacular at BrickCon Paul created this model for the upcoming Halloween contest over at LEGOPIRATE. Kevin’s costume was constructed by first hollowing out R2’s head and body pieces with various tools including an xacto knife and electric drill– I would’ve used a dremel if I had one. 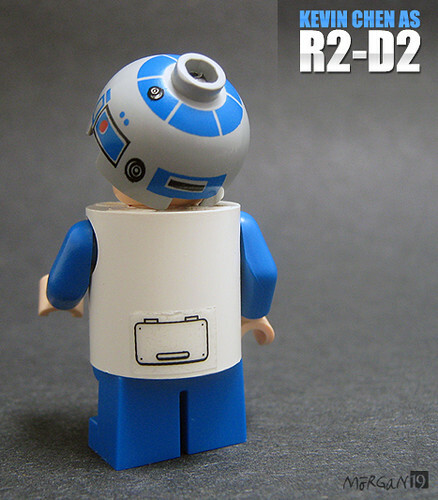 I cut the studs off the top of the droid torso and drilled a hole for the minifig’s head to fit into. Because the holes in the side of the body are too large for a minifig’s arm pegs, I trimmed a toothpick down to the right size and attached both arms to it, allowing them to remain attached to the body while maintaining their full range of movement. 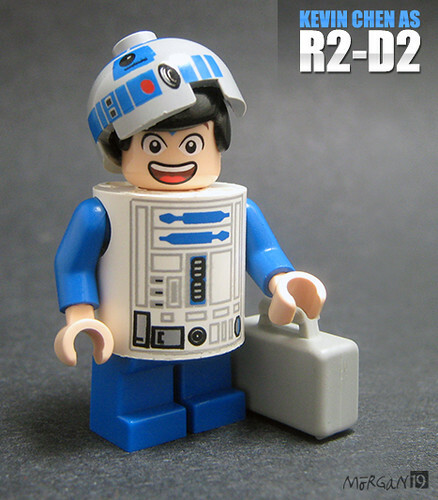 Kevin Chen, rookie cosplayer and avid R2 fan, is on his way to his very first Star Wars convention! This is the overall vignette shot showing Kevin Chen in his R2 costume, waiting on the subway platform. 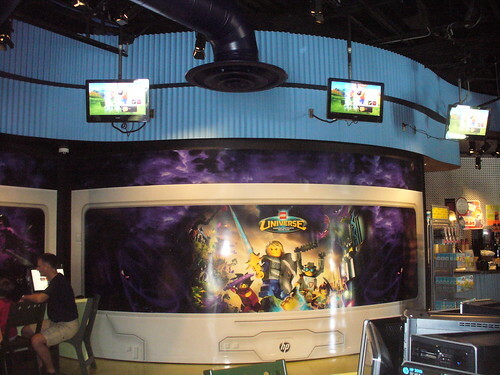 LEGOLAND California’s Club House has had several renovations over the years. It was originally called Ruby’s Cool Club, but its had a few different names over the years. 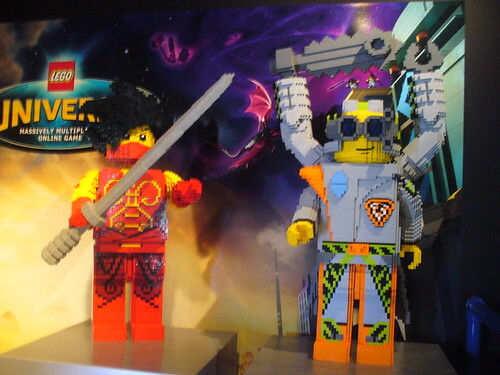 The newest version is dedicated to LEGO Universe, the new online multi-player that just launched. Kids of all ages can try out, as well as purchase, the game. Here you can see my friend Tiffeny Nervig trying out the game. 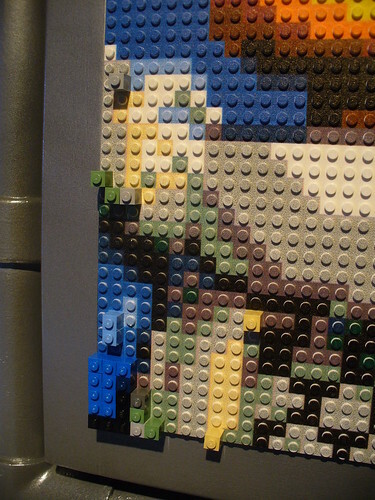 Because it was the Launch Date for the game there was a Mosaic you could help to build. 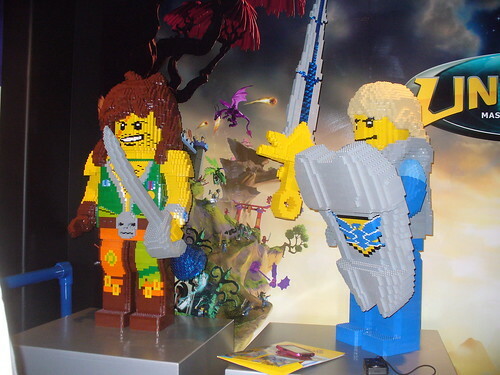 What was interesting, was that the picture was actually printed on the baseplates. This way the kids could build the mosaic like a color by number. I’d heard about this technique, but had never seen it in person. 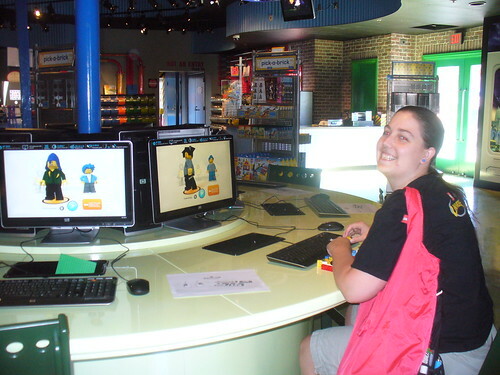 So, if you visit LEGOLAND California, check out the new Club House and LEGO Universe. 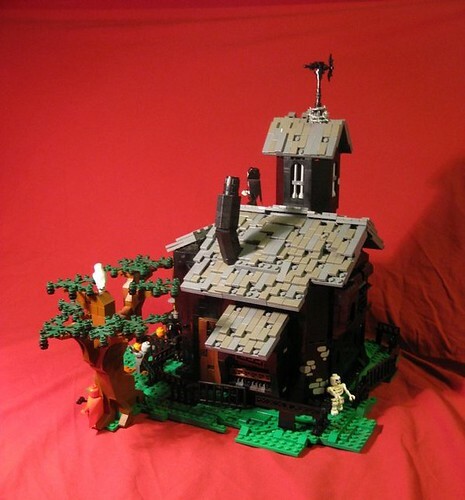 As if they posted it just for me, Hillel Cooperman’s Presentation from BrickCon 2010 has now been posted on Youtube. It is just as funny watching it a second time. Warning — for all those parents out there, there is some language in this video. 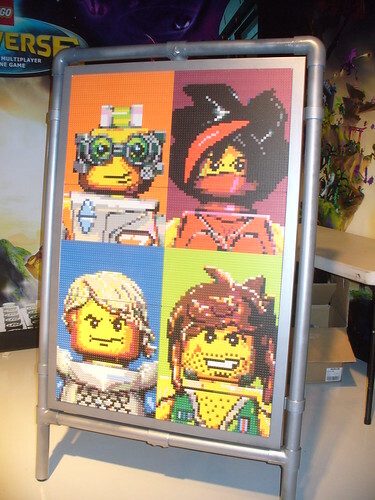 Hopefully the people of LEGO are listening to this, I know there was at least one LEGO VP in the audience at BrickCon. 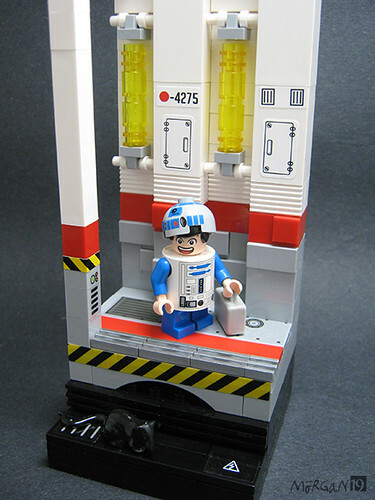 It would be awesome if some of Hillel’s ideas (which mirror a great many of my own) are implemented in future LEGO sets. 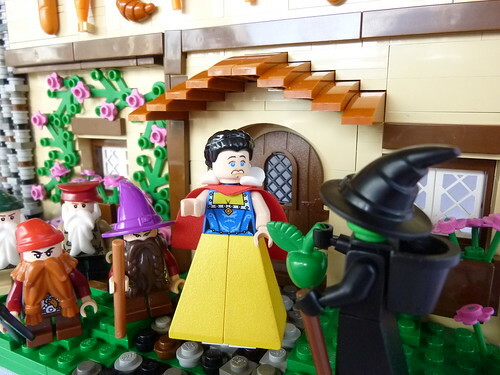 Nicole Snyder, of Dynamic Video Creations, did a wonderful job filming this and running all the audio and visual aspects of BrickCon this year. I talked earlier about the Shuttle Adventure set #10213 when it was coming out, but it wasn’t until last night that I actually got to build the set. At the recent BrickCon I was able to pick up the set during the Scratch and Dent sale for 50%. When I bought it, I honestly didn’t know how I was going to get it home. 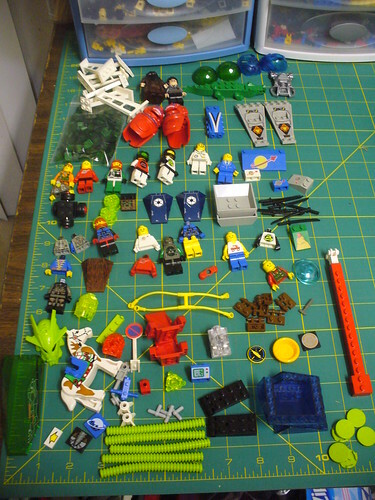 Thankfully a friend of mine who had driven up to Seattle was willing to bring all my rather large LEGO sets (I got the Space Police Central also at 50%, The Burrow, and the Winter Village Bakery) back home with him. 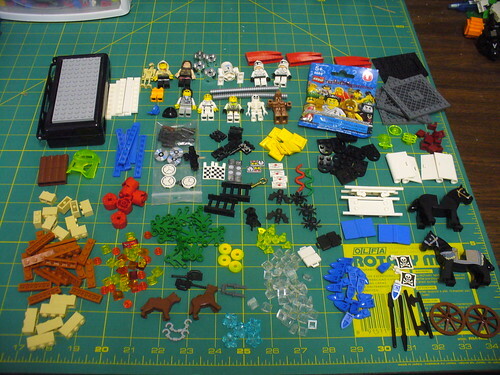 Now I have to admit, I bought the set, like I buy pretty much all my sets for the pieces. I’ll usually build the model once, but I rarely leave it up for very long before I take it apart and sort all the elements out. And, since I build much more complicated models, I sometimes get bored with how a normal set is built, its just to simple for me. 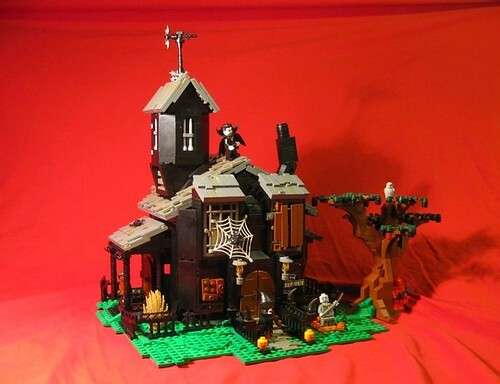 Even so, this set was a delightful build for me. 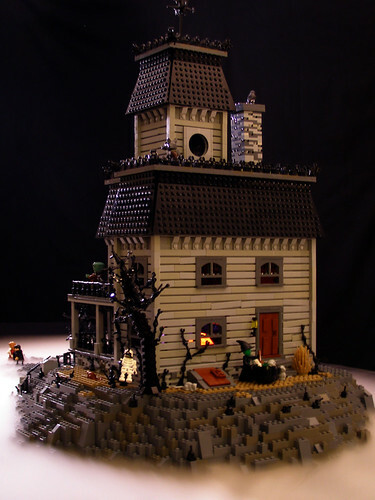 It was a short build, taking only about 4-5 hours, I’m not sure as I wasn’t watching the clock (my projects can take weeks). I may be dating myself a little, but I have the 1990 Space Shuttle which is a much smaller set and much less impressive. I remember at the time really enjoying that set. I also remember thinking about but not buying the 2003 Space Shuttle Discovery set. It wasn’t nearly as smooth as this newest incarnation, although if you look at the picture, it has a lot of similarities in the build of the shuttle itself. 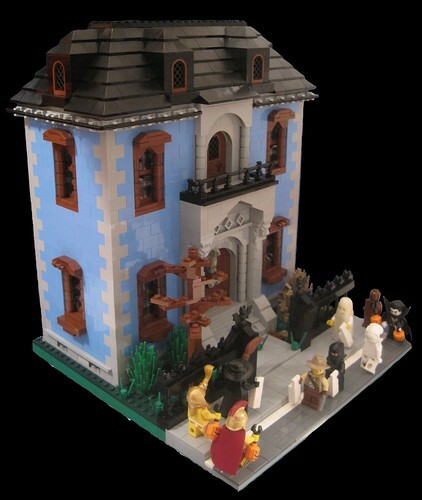 This set has all the bells and whistles when it comes to a truly nice set. There are two astronauts, a launch pad, removable booster rockets, a satellite in the cargo hold, and even a camera man to film the blast off.